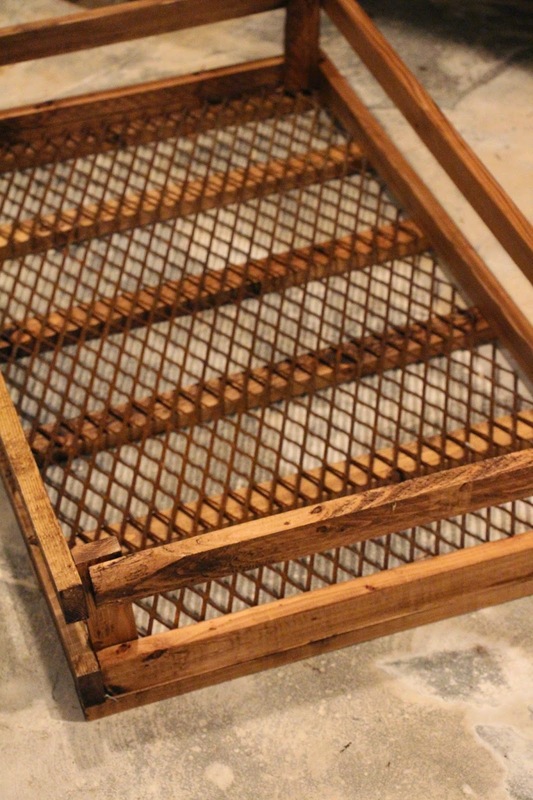 Here is how I made this tray for $3.00, and you can too! 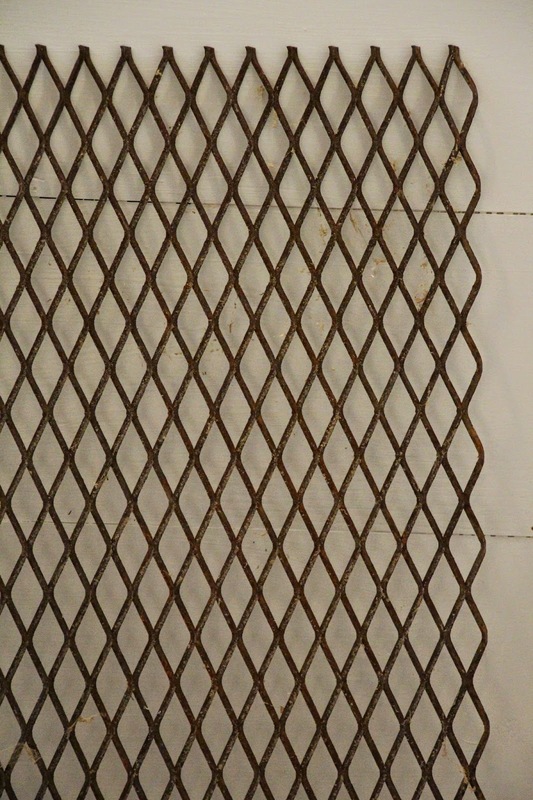 I started with this piece of expanded steel. You can buy this at home improvement stores. I happen to have this in my studio, so I didn't have to buy mine. Think outside the box here. You don't necessarily need a piece of expanded steel for this project. Look around for unusual pieces in the right size. 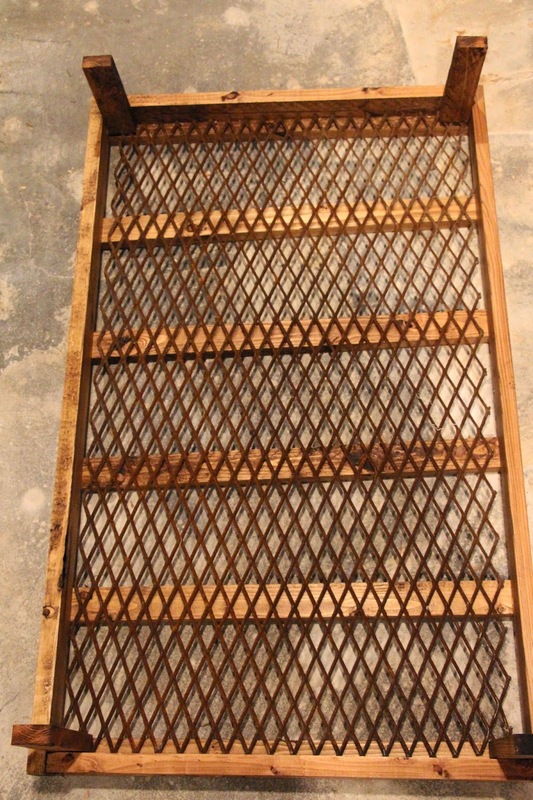 Perhaps plexi glass, grates, old windows, etc. 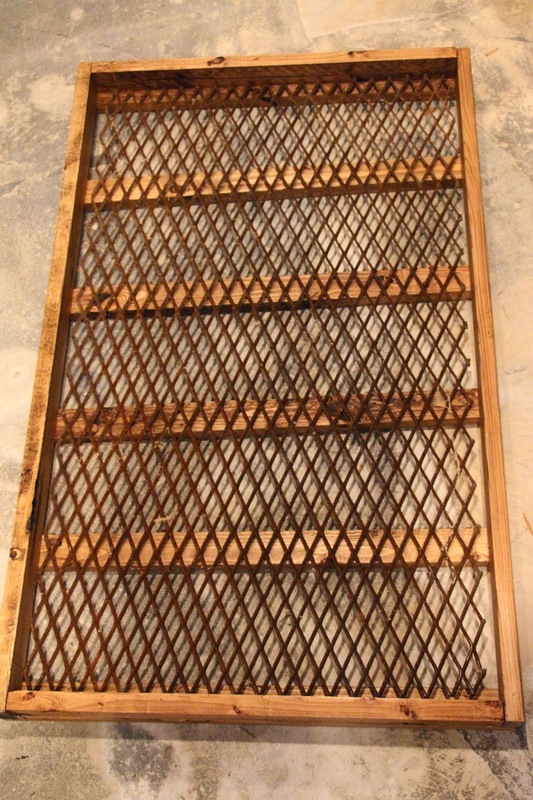 My piece of expanded metal measured 32" x 19"
You are going to need to pick up 3 1x2's at the hardware store. These are I believe 8' long and are only 97 cents each. I purposely picked out the roughest ones I could find because I wanted my crate to look old. So grab ones that are cracked, rough, and a little beat up. 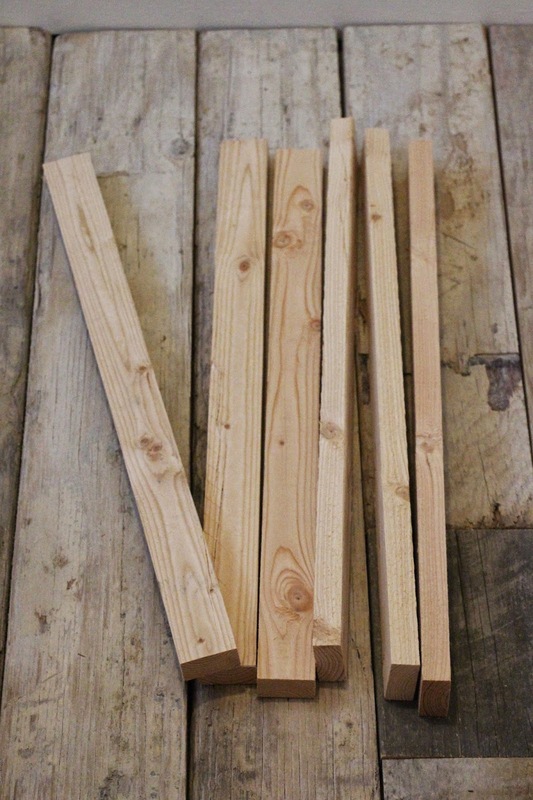 I cut 6 bottom pieces slightly larger than the 19" width. I cut them at 20 1/2"
Then I cut 4 end pieces at 18 3/4" and 4 side pieces at 34" and finally, 4 short pieces to brace everything together in the corners. These are 5"
Again, you will need to adjust to your own measurements, this will just be a guideline for you. 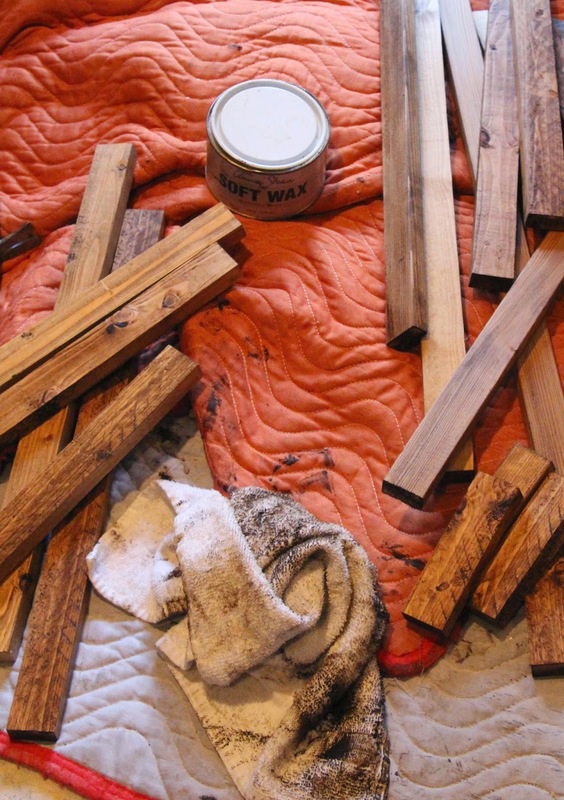 Next you will need to darken up those pieces of unfinished wood. 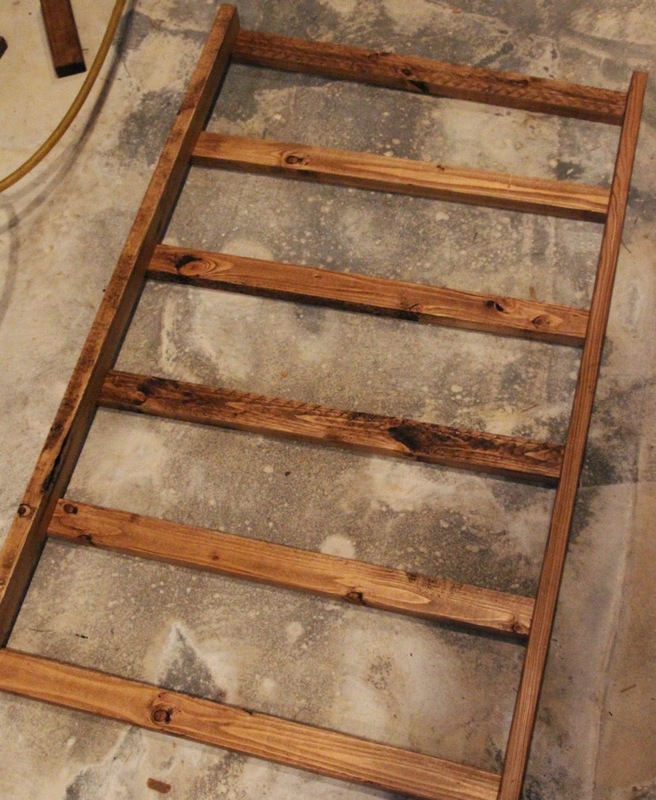 You can use a stain, or if you are impatient like me and want a quick dry product, wipe on a little dark wax. I bet you could even use shoe polish. Does anyone still have any of that? I first laid my 6 pieces flat on the ground. This is what your metal will lie on top of. Place the metal on top and make sure the bottom pieces are straight. Add the end pieces and the side pieces. I used a air nailer to attach them all together. If you don't have an air nailer, wood glue and small nails would work. 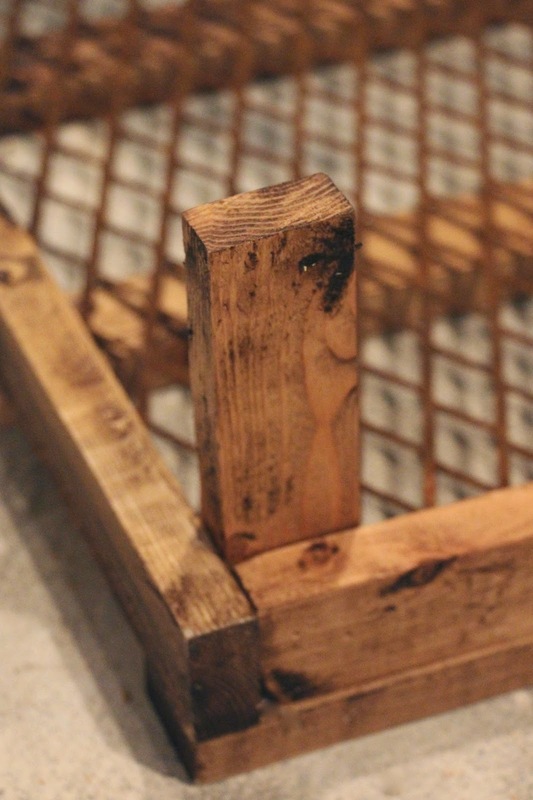 Note that the sides and end pieces of wood should be sitting on the taller side, not laying down like the bottom pieces. Here is a close up of what it should look like at this point. Next, take the 4 shortest pieces and place them in each corner securing with your nails. Attach the 2 remaining sides and the 2 remaining ends flush with the top of the shortest pieces. Notice how one of my pieces of wood is totally broken off and because my measurements were slightly off, the pieces of wood don't meet up? Oh, and I don't know if you can see it real well, but I used a French stencil to add some wording to the centers of each side, just to really give it that old crate feel. So, are you going to make one, or have I totally lost you with these directions? totally lost but then I have no sense of building things like you do...but I sure wish I did! 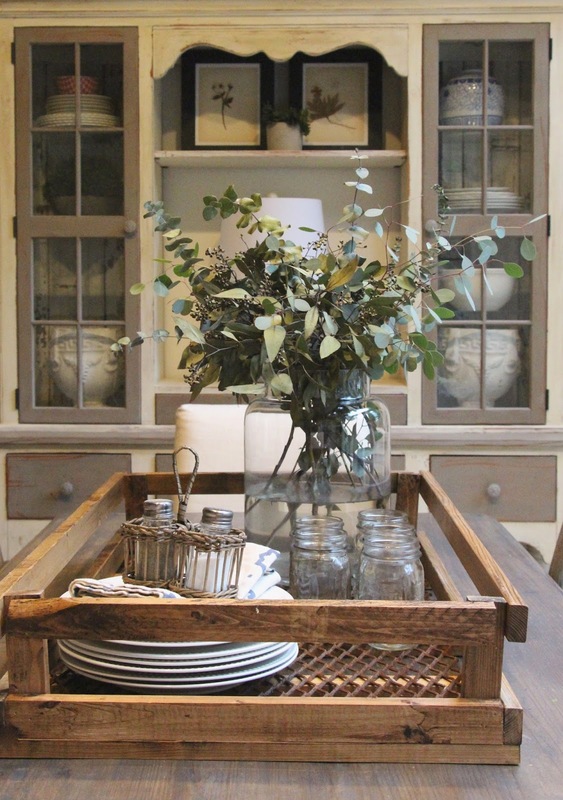 i love how rustic it turned out...you are one talented lady! The pictures definitely help! lol I love this project and I think I'm going to try to do something similar. I love how this turned out and your styling is spectacular as always!! 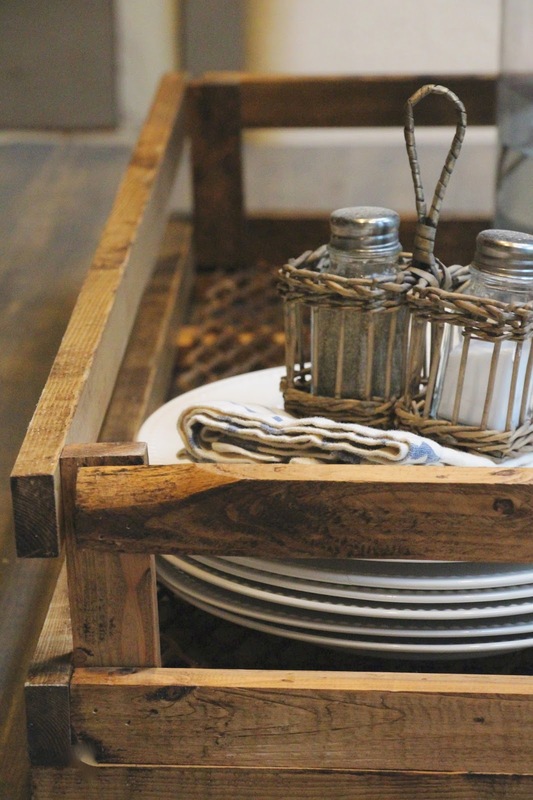 Your French crate tray is beautiful! Your photos definitely make it easier to follow along - but that's the kind of girls we are...show us how to do it and we can give it a try! Perfect!!!! I want to make one in a custom size for my coffee table! Love this! Did you get the metal piece at the hardware store as well? Which department did you find it in? Thanks! Oh my goodness, LOVE this! Your photos are gorgeous as usual! I am doing a similar project soon! Gorgeous! But any tutorials to help a layman here? I love it! I understand your instructions-good tutorial. I think I am going to make my own but change the dimensions a bit. I am thinking longer but not as wide. Think of a skinny rectangle! Thanks for sharing! oh my gosh!!!! I love this!!! This is amazing! 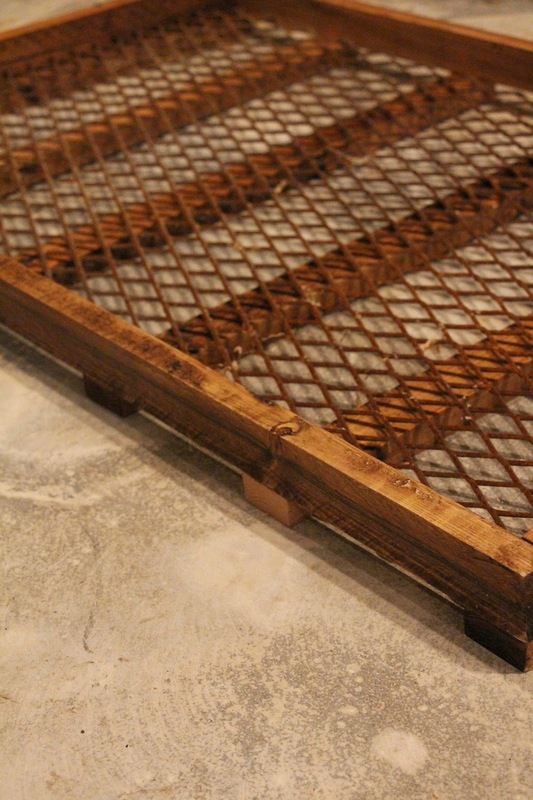 I love trays and this one is really nice. I like that it is big and you can put your dishes and utensils in it. Thanks for sharing.